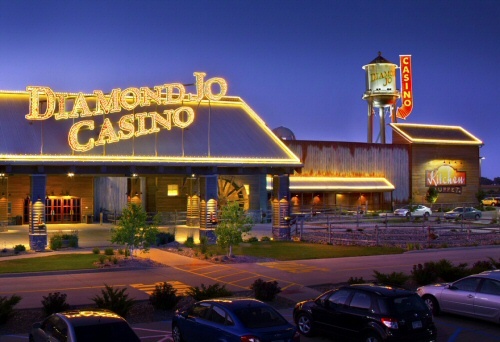 A trip to Diamond Jo includes a FREE LUNCH BUFFET and 4 1/2 hours of gaming. Casino Rebate Policies are not under our control and subject to change. Casino Travelers MUST be 21 or older and MUST carry a legal, state issued, non-expired photo ID card. You will be required to present a social security card to claim “large” winnings. A minimum of 20 people will be needed before we will go on each trip. If you would like to join us please try and let us know at least two weeks in advance of each date so we can plan accordingly.